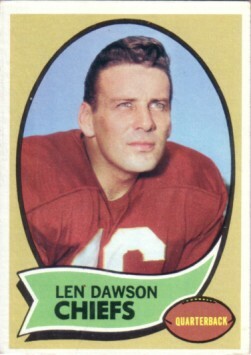 1970 Topps card of Kansas City Chiefs Hall of Fame quarterback Len Dawson (#1). Ex or better condition (corner wear). ONLY ONE IN THIS CONDITION AVAILABLE FOR SALE.